The word “put” means to place something where you want it. 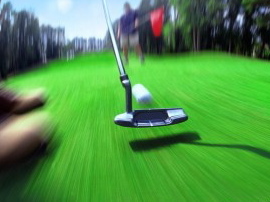 To “putt” is a vain attempt to do the same thing. Entry filed under: Friends, Fun. Tags: golf, Grant, put, putt, putter, vain attempt. I won’t be able to thank you more than enough for the content on your web page. I know you set a lot of time and energy into them and really hope you know how deeply I appreciate it. I hope I can do the identical thing for someone else one of these days.